Overseeing body introduced alongside several other new regulations. 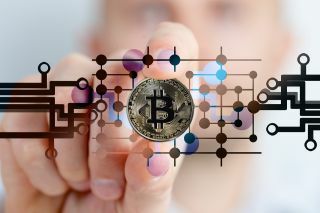 The UK is about to get a “crypto assets task force”, and a couple of other initiatives, aimed at managing the “risk of cryptoassets”, as well as “harnessing the potential of the underlying technology”. The task force, announced this week by Chancellor of the Exchequer, Philip Hammond, will be comprised of the Bank of England, the Financial Conduct Authority and the Treasury. Aside from the task force, “next steps in robo-regulation” were also announced. This would be comprised of "pilot schemes to help new fintech firms, and the financial services industry more widely, comply with regulations by building software which would automatically ensure they follow the rules, saving them time and money,” it was said in the announcement. The government is also planning a UK-Australia “fintech bridge”, with the goal of connecting the countries' respective markets and to "help U.K. firms expand internationally." Blockchain, the technology upon which cryptocurrencies are created, is being praised by governments all over the world. It is generally perceived as a highly disruptive, transformative technology that has the potential to change how we do virtually everything, from transferring funds, to voting, to securing private data, such as healthcare information. Governments are generally not as excited about cryptocurrency as they are about blockchain. Prime Minister Theresa May recently said she was concerned about the potential criminal use of cryptocurrencies, while Hammond called for stronger regulations.